Pretty form of the normally deep green small leaved Azara. 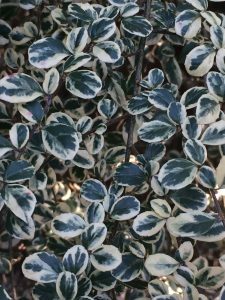 Tiny round, evergreen leaves are mostly cream with a light splash of dark green. Very pretty fine texture effect. Moderately fast growing tree to 12′ tall in 7 years. Part shade in a protected site. Protect from subfreezing east winds by siting on a south or west aspect. Nice semi-weeping tree for woodland margins, urban courtyards. In March it is smothered in tiny yellow flowers with the powerful perfume of cocoa. 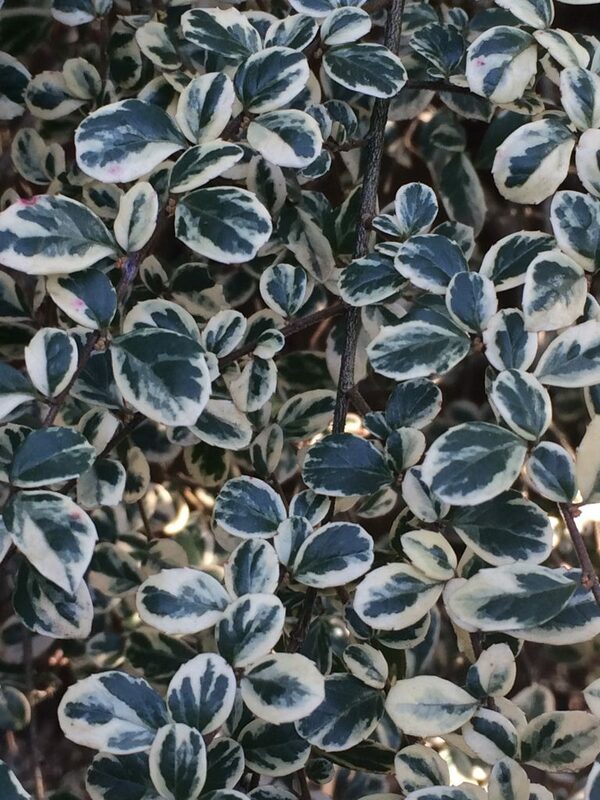 Loses some leaves below 15ºF but recovers them quickly in spring. Light summer water. Takes dry shade very well.